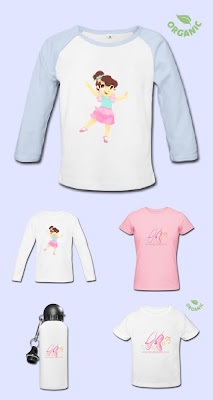 Tippy Toes Ballet Blog: Tippy Toes Ballet Merchandise Sale! We have launched our very own little merchandise shop! We currently have t-shirts, water bottles and bags for sale. We thought any one of them would be a lovely stocking filler for your little ballet dancer! 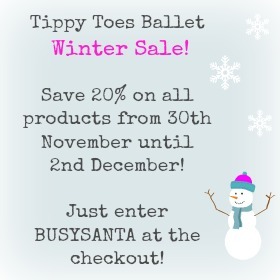 If you enter BUSYSANTA at the checkout you can get 20% off from 30th Nov - 2nd Dec!